Is it snowing in Mission Ridge ?Thank you! 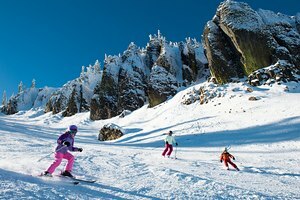 Mission Ridge, in the United States (Washington State), is a medium sized ski resort with 6 ski lifts (4 chair lifts, 2 surface lifts) that offers skiers an impressive 671 metres (2200 feet) of vertical descent. Mission Ridge has 1000 acres of terrain over 36 trails. Mission Ridge is best suited to intermediate skiers and snowboarders but there is some terrain for beginners and advanced skiers (10% beginning terrain, 60% intermediate and 30% advanced). 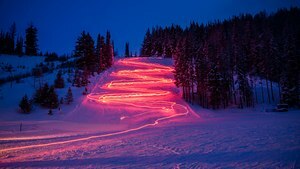 Mission Ridge has more snow-making than any other ski area in the state (66 acres covered by snow making with an 18 million gallon reservoir). There are no cross-country ski trails at Mission Ridge. For snowboarders, there is a terrain park. The nearest airport is at East Wenatchee and the nearest train station to Mission Ridge is at Wenatchee. As the sun pushes back the clouds, the adventure begins at Mission Ridge, in the heart of Washington State where the jagged peaks of the Cascade Range meet the high rugged desert of Eastern Washington. A volcanic past has created a ridge where snowcapped peaks shimmer one side and the Columbia River rolls majestically through Eastern Washington on the other. But don’t let the view distract you; Mission Ridge has over 2000 acres to explore. 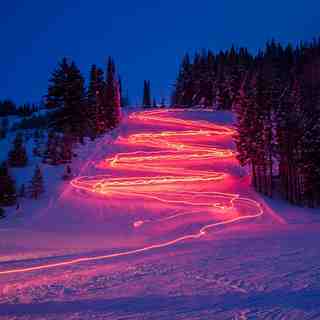 Carve tree lined groomers, float through wide-open bowls, wiggle through glades, or scream down narrow chutes. Experience the difference – the sunshine, the powder, the food and the fun – the memories last a lifetime. My first time at Mission was 1980. Being a local I never ride there since there is minimal snow pack since the early nineties. The North cascades are close and so much better. Let the families and gapers wearing one piece suits take it over. One of the best places to ski on the piste. Riding a board it's nothing but core shots on basalt.